^)j^| J oJJ isf ji. 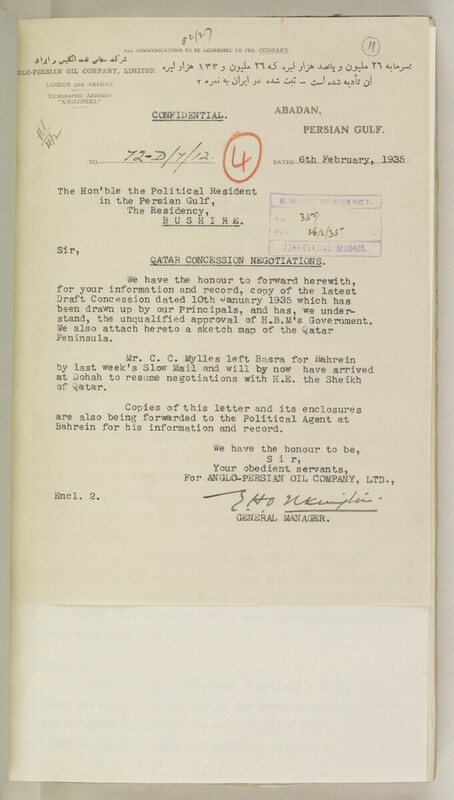 B U S H I R i*i.
QATAR CONCE SSION NEG OTIATIONS. Bahrein for his information and record.